The Federal Transit Administration (FTA) funds mass transit systems across the country by distributing billions of dollars in grants to local and state governments and other organizations. FTA’s goal is see new transit systems come online or to improve existing mass transit operations. The agency is also responsible for ensuring that recipients of grants follow federal mandates along with statutory and administrative requirements. Due to the sheer cost of building new public transportation systems, FTA funding is critical to any project hoping to get off the ground. In one instance, the agency flip-flopped over supporting a longtime subway project affecting Washington, DC, and Northern Virginia, which angered both proponents and critics of the project. The roots of the Federal Transit Administration stretch all the way back to President Franklin D. Roosevelt’s Public Works Administration (PWA). Although PWA was not a transit assistance program, it nonetheless established the importance of federal funding for transportation projects. In fact, some of PWA’s money helped build key mass transit systems, such as the State and Dearborn subways in Chicago and the Sixth Avenue subway in New York. During the 1950s, the federal government’s transportation policy focused on building a network of coast-to-coast highways which became known as the Interstate Highway System. While this expansion of American roadways was important for the economic growth of the US, it left little room for other types of transportation projects, including those for mass transit. To make matters worse, federal lawmakers adopted legislation in 1958 making it easier for railroads to discontinue service to certain areas. This immediately resulted in the closing down of several important commuter rail services. The one good thing that came out of the 1958 legislation was that it galvanized supporters of mass transit to redouble their efforts to encourage federal assistance in this area. In 1960, a bill was introduced in the Senate that would have provided federal assistance for mass transportation. The bill failed to clear the House, but supporters tried again in 1961. By then, John F. Kennedy had become President. Kennedy was in favor of bolstering mass transit systems. The proposal to establish federal assistance for mass transportation was included in the Omnibus Housing Act of 1961 which cleared both the House and the Senate and was signed into law by Kennedy. The act provided $50 million for federal loans and $25 million in grants to support demonstration pilot projects in mass transportation. This funding represented just the beginning of a larger effort to establish a permanent federal program supporting mass transit in 1962. Although Kennedy introduced the follow up legislation, the bill wasn’t passed until after his death. Kennedy’s successor, Lyndon B. Johnson, signed the Urban Mass Transportation Act into law in July 1964. In addition to providing $375 million in capital assistance over three years, the act led to the establishment of the Urban Mass Transportation Administration, which was mandated to provide federal assistance for mass transit projects. 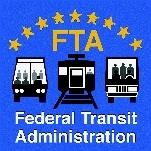 In 1991, the agency was renamed the Federal Transit Administration. As part of the Department of Transportation, the Federal Transit Administration (FTA) encourages the development and use of systems of mass transit—buses, subways, light rail, passenger ferry boats—throughout the United States. FTA performs this mission by distributing billions of federal dollars in grants to various local and state governments and other organizations through ETA’s 10 regional offices. FTA’s goal is see new transit systems come online or to improve existing mass transit operations. The agency is also responsible for ensuring that recipients of mass transit grants follow federal mandates along with statutory and administrative requirements. FTA must report to Congress on its work. This information is made available to the public under Reports & Publications. FTA helps communities support public transportation by issuing grants to eligible recipients for planning, vehicle purchases, facility construction, operations and other purposes. FTA administers this financial assistance according to the 2005 Safe, Accountable, Flexible, Efficient Transportation Equity Act, or SAFETEA-LU. SAFETEA-LU authorizes specific dollar amounts for each program. Congress provides an annual appropriation that funds the programs specified in SAFETEA-LU. Upon receiving this appropriation, FTA apportions and allocates these funds according to formulas and earmarks. These FTA apportionments are published annually in the Federal Register. FTA supports transportation planning in a number of ways. The agency administers metropolitan planning (49 USC §5303) and statewide planning (49 USC §5304) grant programs to help fund multimodal transportation planning efforts of metropolitan planning organizations and state departments of transportation. FTA formula funding (49 USC §5307) may also be used by grantees to support their planning needs. FTA also provides technical assistance on a broad range of planning topics including regional and statewide planning and programming; corridor planning for major capital investments; environmental project reviews under the National Environmental Policy Act of 1969 and related laws; travel demand forecasting and analysis; capital costing; operations planning and costing; financial planning and analysis; land use planning; and public involvement. In cooperation with the Federal Highway Administration, FTA provides assistance and resources on planning and environmental procedures and methods, including the joint Transportation Planning Capacity Building Program. It also supports the transportation planning certification review process, implementation of the Clean Air Act as amended in 1990 and travel demand forecasting through the Travel Model Improvement Program. FTA planning assistance is organized within the following three areas: transportation systems planning, project planning and development and environmental review of proposed projects. Thousands of municipal, county and state entities have received grants through the FTA. Current recipients are broken down by FTA region in one listing provided by the agency. Grants can vary in size, from less than a million to hundreds of millions of dollars. One of the largest outlays of FTA grants went to support rebuilding efforts at the World Trade Center complex. In 2005, FTA announced it had awarded $699 million (PDF) to the New York Port Authority to help with several projects, including a new $478 million World Trade Center Security Center. Norfolk, VA’s The Tide light rail project received $128 million toward building 11 stations, three new park-and-ride structures and a maintenance facility and the purchasing of nine rail vehicles. The Tide, which will cost a total of $232 million to complete and is expected to begin service in 2010, will serve between 6,000 and 12,000 riders per day. The Wisconsin Department of Transportation/Bureau of Transit received a grant of $2.2 million to provide operating and planning assistance to areas with a population below 50,000. The grant will be used to expand service in 11 rural areas and to study of the feasibility of bringing public transportation to four additional counties. The Center for Transportation and the Environment was awarded a $1.2 million grant for the continued development and demonstration of an improved hybrid fuel cell bus. For more than 40 years, Washington, DC has been trying to link its downtown to Dulles International Airport via the local subway system, known as the Metro. The final phase of this plan requires building 23 miles of rail to reach the airport - a distance that seemed like a million miles after FTA withdrew its support. Kaine and other Virginia officials were stunned by FTA’s decision. Many local politicians, including US Senator John Warner (R-VA), bitterly complained that FTA had not previously given any indication that it would take such a drastic step and withhold crucial funding for the project. The rail extension was expected to ease congestion through Virginia’s biggest jobs corridor and also help it grow by stimulating a transformation of suburban Tysons Corner into a thriving downtown. Three months later, FTA reversed itself and announced it would support the project after local officials agreed to cleave $200 million from the project’s budget - some of which would have gone towards improving area roads. The reversal by FTA set off more outcry by those opposed to the project, some of whom called the $5 billion project pure “pork” designed to “benefit wealthy Tysons Corner landowners and their political allies at the expense of taxpayers and commuters,” according to one editorial. Critics argued that rather than reduce traffic in Northern Virginia, the project would actually increase congestion in and around Tysons Corner. As part of its efforts to improve security for mass transit systems, FTA hires outside firms to produce assessments of the vulnerability of bus and railway networks to terrorist attacks. These reports are supposed to be kept confidential, but one assessment was leaked by a Chicago television reporter after he found it on the Internet. The report was conducted by FTA contractor Booz Allen Hamilton Inc., a national consulting firm, which analyzed the state of Chicago’s bus and rail system. Larry Yellen, an investigative reporter with WFLD Fox News in Chicago, found the report using the leading peer-to-peer (P2P) program LimeWire. A spokesman for Booz Allen said the report was one of 35 threat assessments conducted on behalf of FTA. The company had no idea how the Chicago report wound up floating around on the Web, and its spokesman tried to lay the blame on federal, state and private-sector entities and first responders who were given a copy, saying it was the responsibility of those entities to protect the document. Jennifer Dorn resigned as FTA administrator in 2005 to become U.S. alternate executive director at the World Bank. What Agency is in charge of making sure the Money received by a county in Florida for public bus transportation is being used properly ? Is the Public Funding that my County gets under laws for hiring practices ? Example can the Public Bus Company hire for a position without advertising and give to a person who is not qualified but a friend of the person hiring ? On July 24, 2014, President Barack Obama nominated Therese W. McMillan as the next administrator of the Federal Transit Administration, where she has served as deputy administrator since 2009. McMillan is from Inglewood, California, where she attended St. Mary’s Academy. She then went to the University of California at Davis, from where she earned a B.S. in environmental policy and planning analysis in 1981. McMillan worked for two years as a research analyst for Angus McDonald and Associates while attending the University of Californaia at Berkeley. She earned dual degrees; a Master of City Planning and an M.S. in civil engineering science, completing her work in 1984. McMillan then began a long career at the Metropolitan Transportation Commission (MTC) in the San Francisco Bay area. She started as an associate planner and was named a senior planner in 1988. In 1993, McMillan became manager of finance and was elevated to become manager for finance and external affairs in 1999. After concentration on managing funding, she was named deputy executive director for policy in 2001, a role she held until moving to Washington. She managed the commission’s strategic financial planning and its funding for Bay Area transportation projects. McMillan’s husband, Rod McMillan, also worked for the MTC. They have two daughters, Nadine and Madeline. 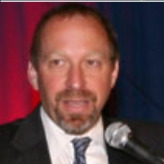 An expert in federal infrastructure budgeting and finance, Peter M. Rogoff was confirmed on May 21, 2009, as the Administrator of the Federal Transit Administration. Rogoff spent the past two decades working for the U.S. Senate as a key aide to Democratic lawmakers. His experience on Capitol Hill, which included work on a transportation subcommittee, will come in handy running the Federal Transit Administration (FTA), which distributes more than $10 billion a year to support state and local transportation programs across the country. Rogoff, earned his Bachelor of Arts in American studies at Amherst College, and his MBA degree, with honors, from the McDonough School of Business at Georgetown University. Prior to being nominated by President Barack Obama, Rogoff served for 22 years on the staff of the Senate Appropriations Committee, including 14 years as the Democratic staff director of its transportation subcommittee. According to his White House biography, he had an active role in the financing of the last three comprehensive surface transportation reauthorization bills dating back to the Intermodal Surface Transportation Efficiency Act of 1991. He also helped in the establishment of new user fee regimes to finance expanded security measures after the terrorist attacks of September 11, 2001, and worked on budget plans for Amtrak, including the initiation and financing of the high speed Acela service, as well as the financing of new light rail and bus rapid transit systems. Rogoff was active in overseeing and reforming troubled procurements in the Federal Aviation Administration, U.S. Coast Guard, FTA, and the Federal Highway Administration. He was the principal staff strategist for both the .08 blood alcohol content law and the youth drunk driving “zero tolerance” law. While on Capitol Hill, Rogoff served under Sens. Frank Lautenberg (D-NJ) and Patty Murray (D-WA). Congressional staffers attributed the rise of Murray in the Democratic caucus in part to Rogoff, who served as her aide on the transportation and housing subcommittee. According to OpenSecrets.org, Rogoff donated $2,300 to Obama’s presidential campaign, in addition to the $1,000 he contributed in 2004 to John Kerry’s run for president. Rogoff and his wife, Dina Morris, have a son and a daughter.